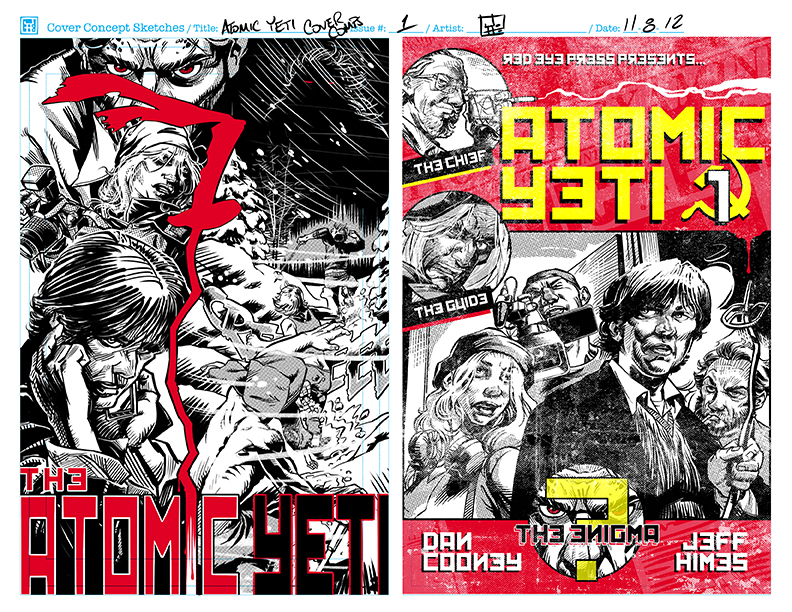 The Kickstarter campaign to fund the remaining pages of Atomic Yeti rolls on and so Dan and I have been busy devising additional donation incentives for those kind enough to give us their hard earned money. 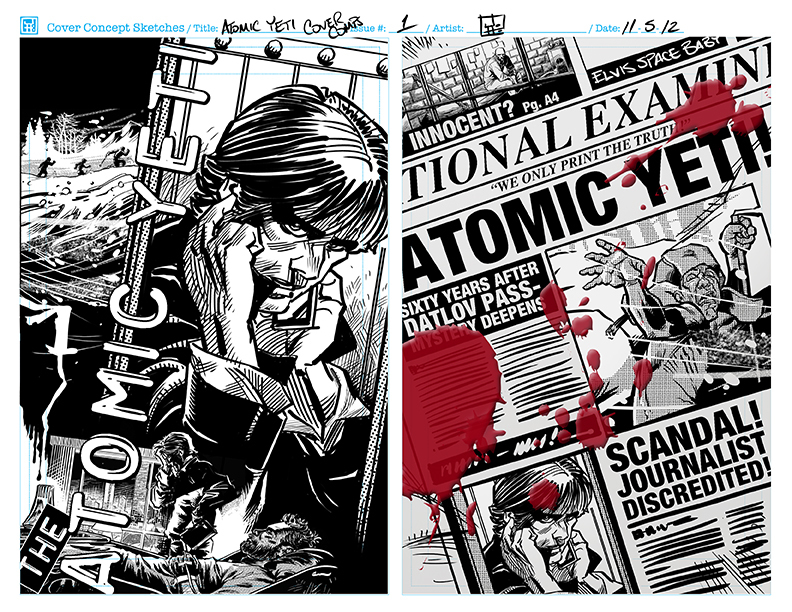 Below are a couple of cover concepts I’ve been working on for a special copy of the preview book we’re offering. My favorite is the last one, I think. ← Atomic Yeti Kickstarter launches!